I'm sure that everyone in the prepper/survival/outdoor community understands the reasons they should know how to quickly and efficiently start a fire. Shelter, water, food. Fire is a form of shelter and should be your top priority depending upon the season. What is your primary method to make fire? Windproof, waterproof matches? 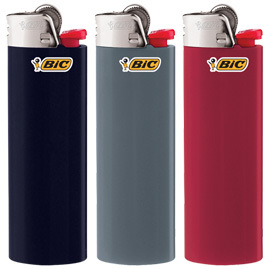 Bic lighter? Zippo lighter? Ferro rod? Bow drill? Hand drill? Magnifying glass? 9v battery and steel wool? There are many different ways to start a fire. Which is your preferred method? Which is the easiest method? Which is the most difficult? The answers should be obvious. If not, maybe you need to practice fire building more. The Bic lighter is the easiest and the hand drill the most difficult. So, you could conclude that the Bic lighter should be your go to fire starter. You should have lots of these. They are inexpensive and last for years. You can safely carry them in your pocket. Skip eating out once and you can buy a dozen of them. Don't cheap out and buy the crappy store brand lighters. If the Bic lighter is my best option then should I know anything else? Duh! Yes! You should have and learn to be efficient with multiple methods of fire starting. When it's critical you need to be as quick and efficient at possible: use a Bic. When it's not, conserve your resources, practice your skills and build your supplies. When you know how difficult it can be to start a hand drill fire you'll appreciate how precious and valuable your windproof, waterproof matches could be. Don't use a windproof, waterproof match when a typical stick match will do the job. Let common sense rule. You may not consider these conditions in a stressful situation so make decisions and preparations before you have to actually make a critical one. In the short story "To build a Fire" by Jack London, the inexperience and naivete of the character cost him his life. He did not recognize the true seriousness of the critical situation he placed himself in. Be aware and be prepared. Ok, I confess, the Bic lighter is not the easiest method. I highly prefer my butane torch but lets be reasonable. I don't carry a torch in my EDC bag or my bug-home bag. Why not? For the same reasons I wouldn't carry a mini-gun to hunt rabbits.